Marina Beach is in Chennai (formerly Madras) along the Bay of Bengal. The beach is a natural one. 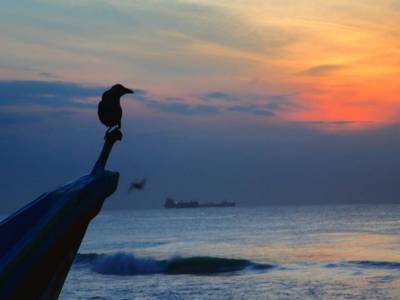 Marina beach happens to be the longest urban natural beach in India and the second longest in the whole world. The beach covers a distance of 12km running from Fort St. George in the north to that of Foreshore Estate in the south. The beach is 300m wide. The beach is predominantly or basically sandy. 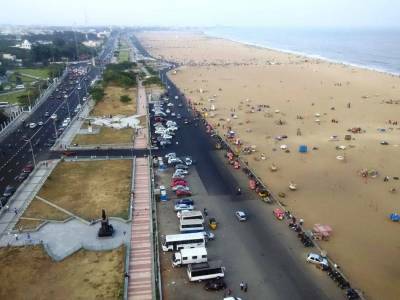 The Marina beach is a huge crowd puller as it attracts 30,000 visitors almost on any weekday and the number rising up close to 50,000 during weekends and holidays. Especially during the summer season, it is estimated that more than 1 lac people visit the beach regularly. It is a highly popular beach of the country and indeed falls amongst one of the crowded beaches as well. It is not permitted however to bath and swim in the beach for the undercurrent is exceedingly turbulent and can thereby cause danger. The beach was really popular due to its magnificent beauty, great ambience and rich ecosystems. But from the middle of the 20th Century the water of the beach has become extremely polluted. 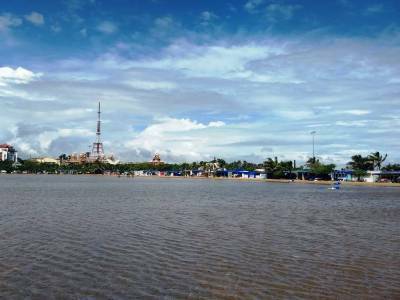 In fact, a large part of the beach has become unusable owing to the increase of human waste, plastic bags and other pollutants. However, sincere efforts have been initiated by many voluntary organizations to do away with these issues and clean up the beach. 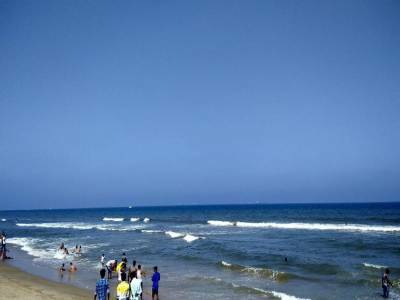 The beach, goes without saying is one of the chief tourist attraction spots in the city of Chennai. It also acts as a solace from the high humidity and scorching heat of Chennai particularly during the summer months. The food and shop stalls in the beach are also something which every visitor must try out whenever they make a visit to the Marina beach. 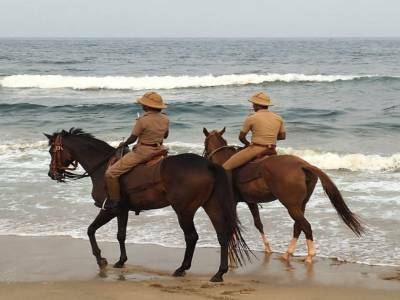 Get quick answers from travelers who visit to Marina Beach.